The adoption of Electronic Health Records (EHR) and computerized physician order entry (CPOE) systems along with the evolving compliance requirements add to the challenge of ensuring the security of healthcare data. The decentralization & consumerization of IT now permits your patient data on shared desktops, personal laptops, smart phones and even USB drives. This can and will put your organization at risk. Federal and States Governments have signed laws and issued multiple regulations designed to protect personal and medical data of patients. HIPAA is the most powerful of them. Every clinic, every pharmacy, every HMO or PPO, every data processing company must comply with them. In addition to steep fines, some of these laws and regulations stipulate criminal liability. The HITECH Act, devised by Congress primarily to address electronic medical records, is being noted for its impact in adding a tough data-breach notification requirement to the long list of long-existing Health Information Portability and Accountability Act (HIPAA). With the increasing threat of medical identity theft looming and expanding state/federal/industry regulations regarding data security, healthcare organizations are taking steps to prevent loss or exposure of sensitive patient data. Privacy Rule, Breach Notification Rule, Enforcement Rule, Omnibus Rule, Cybersecurity Information Sharing Act of 2015 Secs 105 - 106 ... Are you ready? GTB’s AccuMatch™ detection suite, recognized as having the highest accuracy in the industry, giving the GTB detection engine a virtual zero false positive and a zero false negative rate. 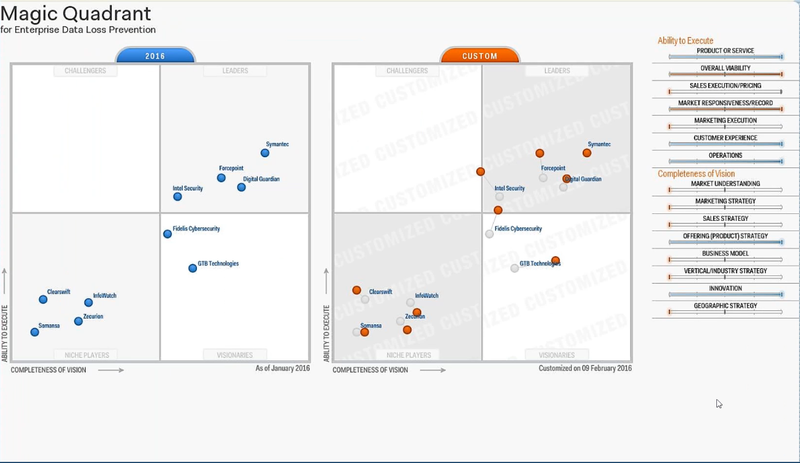 Network, Advanced Endpoint Protection, eDiscovery, Data Classification and Content aware Digital Rights Management: GTB Technologies provides the ability to monitor and block data loss on ANY PROTOCOL / PORT (including email, IM, Web, Secure Web (HTTP over SSL), HL7, X12, FTP, P2P, and generic TCP. Advanced Endpoint protection includes storage devices such as USB drives, CD/DVDs; plus OFF-PREMISE Fingerprint detection. 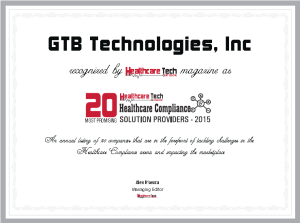 GTB Healthcare fortifies and allows organizations to demonstrate internal controls to comply with governmental requirements that mandate the establishment, documentation, and maintenance of electronic access to critical cyber assets, such as HIPAA, HITECH, Redflag Rules, PII, PCI, Omnibus Rule, Cybersecurity Information Sharing Act of 2015 Secs 105 - 106 and others. Protect Electronic Health Records (EHR) while meeting compliance with HITECH, HIPAA and Meaningful Use.